Chaplain (Maj.) Peter Fischer and the Right Reverend James Magness talk during a break at the Religious Respect Conference Nov. 16, 2010, at the Air Force Academy, Colo. Topics at the conference included balancing freedom of religious expression with the Constitution's prohibition against establishing or endorsing religion. 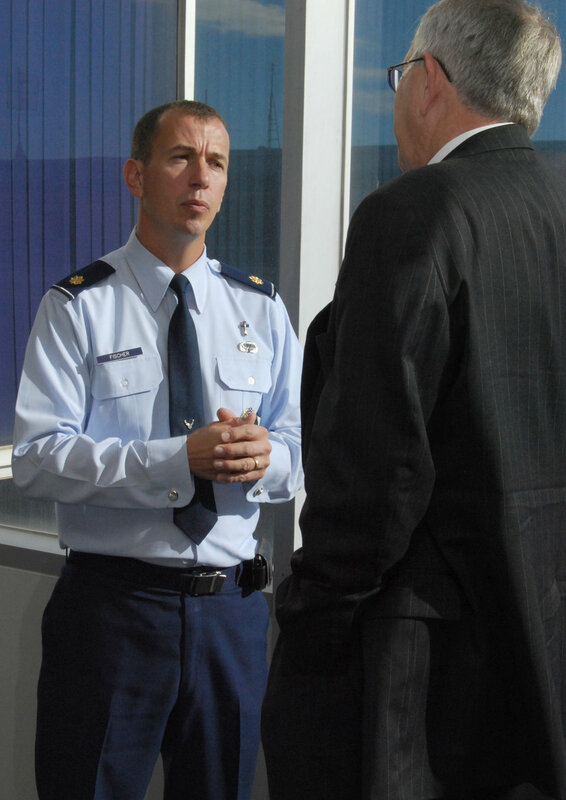 Chaplain Fischer is the Academy's senior protestant chaplain. Reverend Magness is the bishop suffragan for federal ministries for the Office of Federal Ministries of the Episcopal Church.